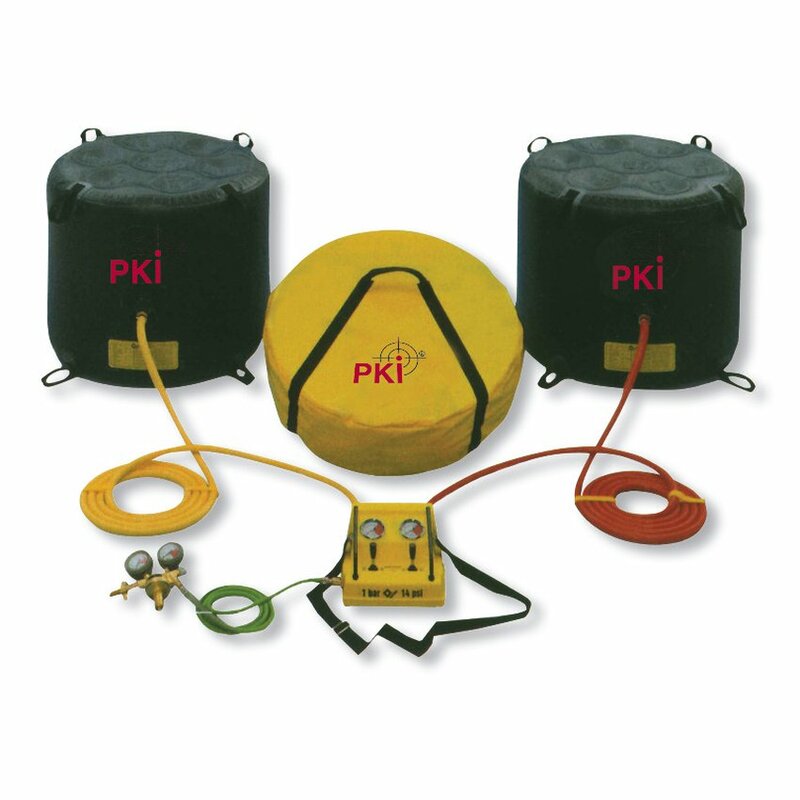 These lifting bags are available in different sizes from 11 to 67 ton lifting weight. The PKI 9040 is designed for lifting extremely heavy devices, for rescue of buried people or enlargement of wall holes where other presses fail due to lack of space. A steel reinforced plastic bag is filled with 8 bar air pressure, which extends the bag and lifts up the device. Of course, more than 1 lifting bag can be used simultaneously.